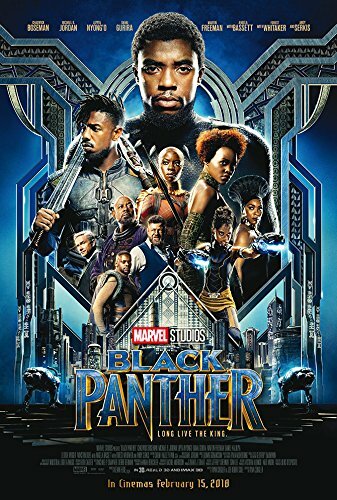 Black Panther Movie Poster - Size 24" X 36" - This is a Certified PosterOffice Print with Holographic Sequential Numbering for Authenticity. This print is guaranteed to be a PosterOffice Print that is numbered and logged by us before being shipped. Ships in 1 to 2 business days From PosterOffice Amazon Store. Printed and shipped from the USA. A great gift for the ultimate Black Marvel Panther fan. 100% Money-Back Guarantee if you're not happy. Ships rolled inside thick cardboard shipping/storage tube from warehouse located in the USA.